You won't have to borrow the neighbour's nailer ever again when you have your own Ryobi finish nailer. You'll love the combination of power and convenience in this cordless model. AirStrike(TM) Technology means you can forget about the noise and hassle of gas cartridges, air hoses and compressors while still enjoying a nailer that has enough grunt for the task. Access clear nails easily with this device's tool-free jam release, and use the adjustment dial to intuitively regulate air pressure and achieve outstanding results with each usage. As part of the 18V Ryobi ONE+ range, this unit is compatible with ONE+ batteries. If you already own one of these battery packs, you don't need to purchase another one; simply attach your existing battery and get started! Uses 15GA DA finish nails. 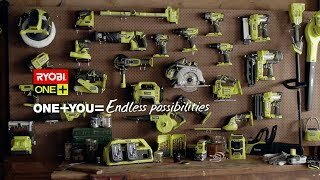 Are you ready to discover the quality that Ryobi power tools are known for? Visit your local Bunnings Warehouse to pick yours up today! 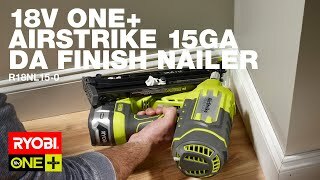 18V ONE+ Airstrike 15GA DA Finish Nailer is rated 4.5 out of 5 by 2.